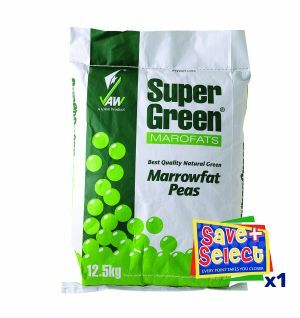 Whitley's Super Green peas are selected from the very best of every UK pea harvest. 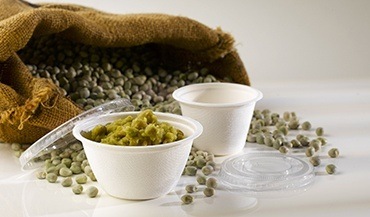 Reconstituted (steeped) Whitley's Supergreen peas offer the nearest flavour to peas fresh from the pod! 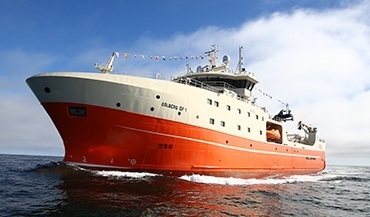 42nd Street Classic Sausages are the leading brand in Fish & Chip Take-Aways. The unique special recipe gives superb taste, natural colour and a firmer bite. 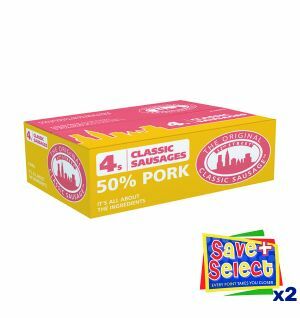 Made from only quality cuts of pork, and now containing 50% pork meat, can genuinely be called a "Pork Sausage". Available in Large 4s, Medium 6s, & Small 8s. Cooking Instructions: Deep fry at 185C for 6 minutes. 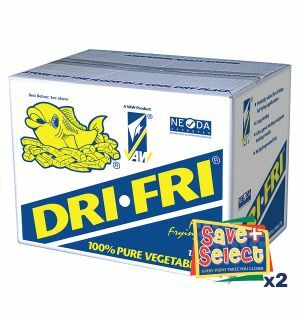 Dri Fri has been the choice of fish friers across the North West of England for over 50 years. 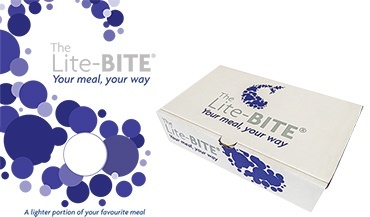 Made from 100% selected top quality palm oil and refined to a very high specification which gives you a stable and durable frying medium that allows the full flavour of the food to come through. 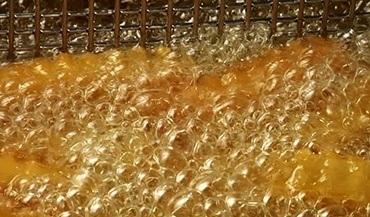 For an exceptional frying fat and excellent value for money look no further than Dri Fri. Smoke Point: 221 - 232C. Flash Point: 315 - 332C. 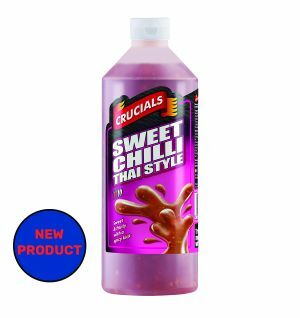 Packed in 12.5kg, which equates to approximately 14 litres when in liquid form. 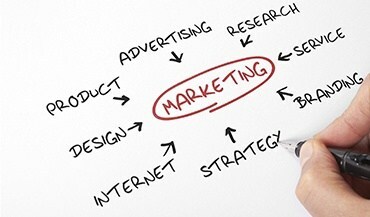 It's New... It's Different... It's Healthy... AND IT'S GLUTEN FREE!! Our NEW Flour made from 100% Natural Pulse Flour. 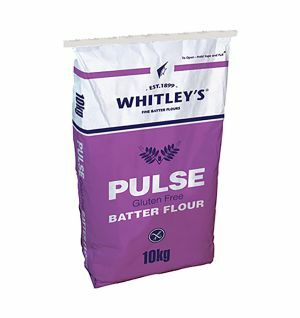 Use a mix of 2litres of COLD water to 1kg of Pulse Batter Flour (This will expand during mixing to create a pleasant tasting coating of good natural colour. Add the Pulse Flour to the COLD water gradually. 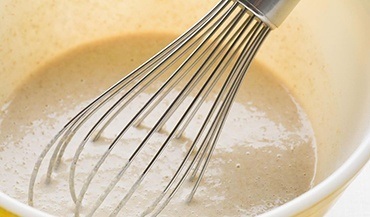 Mix briskly without stopping until the desired smooth, thin consistency is achieved. 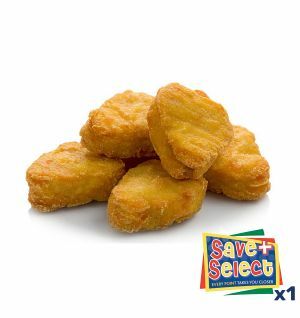 Q Chicken Nuggets are chicken breast meat, reformed and shaped into bite size nuggets with a light batter coating. Pack Size: approximately 40 nuggets per bag. More versatile than block butter. 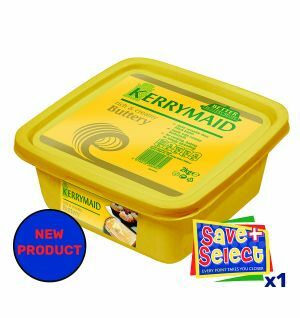 For cooking, baking or simply spreading. 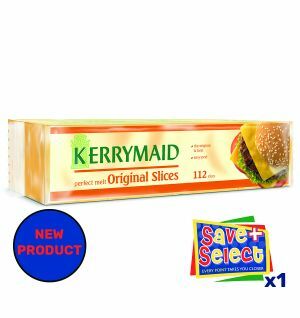 Burger slices produced from a blend of cheese, milk proteinand vegetable oil. Mild Chilli Sauce with Garlic. Great for adding spice and a twist of garlic to all kinds of savoury foods. Great for adding spice to all kinds of savoury foods.